Young Americans wanted a very different future when they went to the polls Tuesday, judging by exit poll data. If 18-29 year-olds were the only demographic to vote, Hillary Clinton would have become the country’s first female president in a stunning landslide, with 478 electoral votes to Donald Trump’s 57. 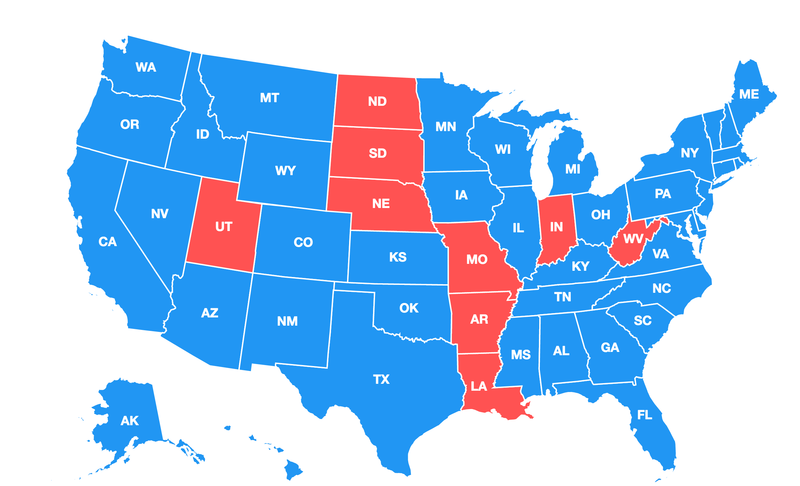 The map below is what the electoral college votes would have looked like if 18-29 year-olds were the only ones to participate in the 2016 election, based on analysis of the exit polls by The Tab. Notes on methodology: In solidly Republican or Democratic states, where exit polls were not conducted, we have relied on pre-election polling data from Survey Monkey, who broke out their sample to only show millennials. The results in our chosen age bracket for LA, WY, IN, IA, NE, and SD were within 3 percent.